^ 窦忠如. 梁思成年谱. 梁思成传 2版. 天津: 百花文艺. 2012年1月: 336～339. ISBN 978-7-5306-6041-6 （中文（简体）‎）. ^ 15.0 15.1 建筑速写. 辽宁科学技术出版社. 1992. ISBN 7-5381-1423-8. ^ 窦忠如. 第三章：求学清华. 梁思成传 2版. 天津: 百花文艺出版社. 2012年1月: 28～30. ISBN 978-7-5306-6041-6 （中文（简体）‎）. (美)费慰梅 著. 《梁思成与林徽因—一对探索中国建筑史的伴侣》. 曲莹璞 关超 等译. 中国文联出版公司. ISBN 7-5059-2674-8. Fairbank, Wilma. 1994. Liang and Lin. Partners in Exploring China’s Architectural Past. Philadelphia, PA: University of Pennsylvania Press. 林洙 著. 《梁思成林徽因与我》. 清华大学出版社. ISBN 7-302-08676-1. 郭黛姮，高亦兰，夏路 著. 《一代宗师梁思成》. 北京: 中国建筑工业出版社. 2006. 林洙 著. 《建筑师梁思成》. 北京: 中国建筑工业出版社. 1996. 王军 著. 《城记》. 三联书店. 2003. 黄振翔 (Wong, Sidney ) 著. "Lin Huiyin（林徽因）and Liang Sicheng（梁思成） as Architectural Students at the University of Pennsylvania (1924-27)" Planning and Development 23 (1): 75–93. 2008. 黄振翔 (Wong, Sidney ) 著. 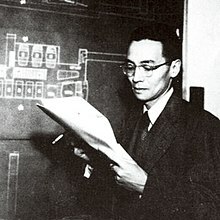 "Searching for a Modern, Humanistic Planning Model in China - The Planning Ideas of Liang Sicheng (1930-1952)" Journal of Architecture and Planning Research 32 (4): 324–45. 2015. 杨永生 著. 《建筑五宗师》. 百花文艺出版社. 2005. ISBN 7530642294. 窦忠如 著. 《梁思成传》 2012年1月2版. 天津: 百花文艺出版社. . ISBN 978-7-5306-6041-6 （中文（简体）‎）.